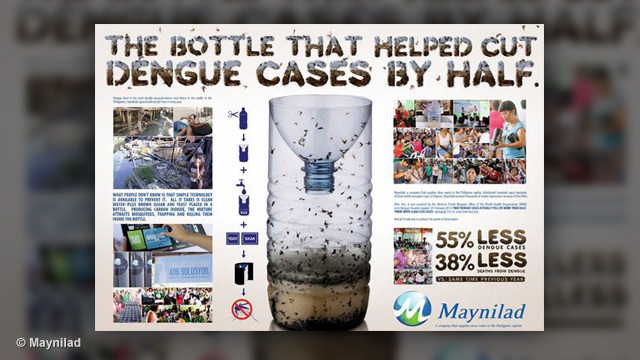 This is how to make a Mosquito Trap From Plastic Bottle That Works. Boil a cup of brown sugar in a 2 cups of water util it is syrup. Put 1/2 cup in the plastic bottle and a poor packet of yeast on top. Do not mix it in. Duck tape the edges after placing the top of the bottle in the base. Replace every 2 weeks.